Infusionsoft is now known as Keap. And Keap has a new smart client management software product built specifically for small businesses. The Keap rebranding and launch is specifically designed to appeal to the large market of small home based businesses as well as those in the professional and personal service industries that have been previously shut out of automation because of the cost and technical requirements around software. This software offering automates certain client tasks like scheduling appointments, following up on quotes and leads and even collecting payments. 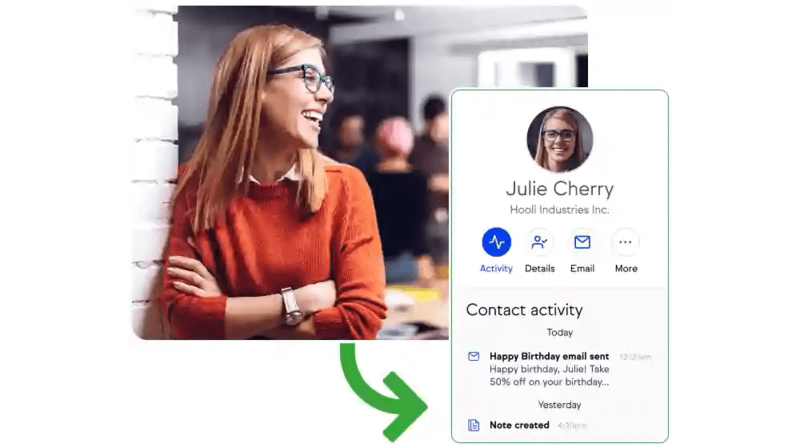 It targets small businesses like home repair, fitness and even business consulting as well as interior design and prompts the user when it’s time to make contact. The rebrand and new product launch are the result of two years of research into small businesses. Keap CEO Clate Mask provided some statistics in a press release. Some of the important features include the fact new smart client management software streamlines important functions into one place. There’s also a mobile app so that small business owners can get access to client information 24/7. There’s also a series of auto reminders and personalized follow-ups that are designed to save valuable time for small business owners. It streamlines and can almost eliminate going back and forth with clients through email or on the phone to follow up on quotes and proposals. It even makes it easier to chase late payments. There’s a one click pay now button so online invoices get paid quickly and easily. Finally, Leary had a few words on the work ahead for the new venture. Keap were pioneers in both CRM and marketing automation small business.The company has over 200,000 users worldwide under the Infusionsoft and Keap product banner. They have headquarters in Chandler, Arizona and other offices in San Francisco and Atlanta. Visit them online at www.keap.com or connect here on Facebook.